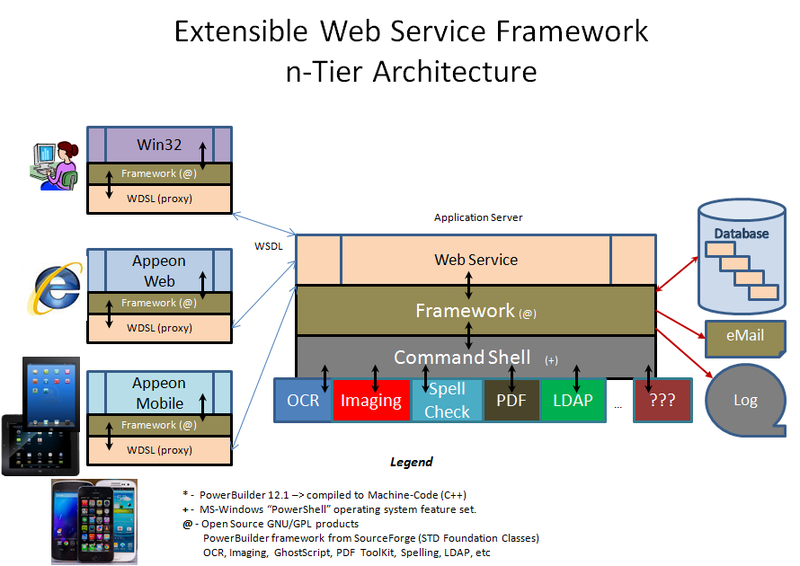 "THE" PB Classic Web Service Framework! Software Tool & Die Inc are please to announce today an updated release of their Web Service STD Foundation Classes for IIs (STD FC IIs) version 2.0 - Service Pack#1. The updated v2.0.1.14 Web Service IIs framework version is solely targeted to helping PowerBuilder Classic developers, develop .Net based Web Services deployed to IIs. The IIs based framework takes advantage of RAD techniques - employes an MVC (Model, View, Controller) architecture for superior performance, flexibility and extendability. Revised PB version checking to be INI driven versus being hard coded previously. Added new "PB_Version=" parameter to the base INI file. Added a new "of_copy" method to the base transaction object (ns_transaction_master). Allows the copying the current values to a new or existing Transaction object class. Fixed an INI file initialization bug when the framework is migrated to a higher PB version. Added a new "of_is_connected" method to the base transaction object (ns_transaction_master).